In step 3, the email instructs you to take the attached license file snippet and add it to the bottom of your (current) license file. In certain cases, this may be relevant and in other cases, it is not. It is important to know when to append to the existing license file and when not to. When appending incorrectly, you could be placing yourself in a non-complaint state or cause license quantity issues/conflicts with your other products. 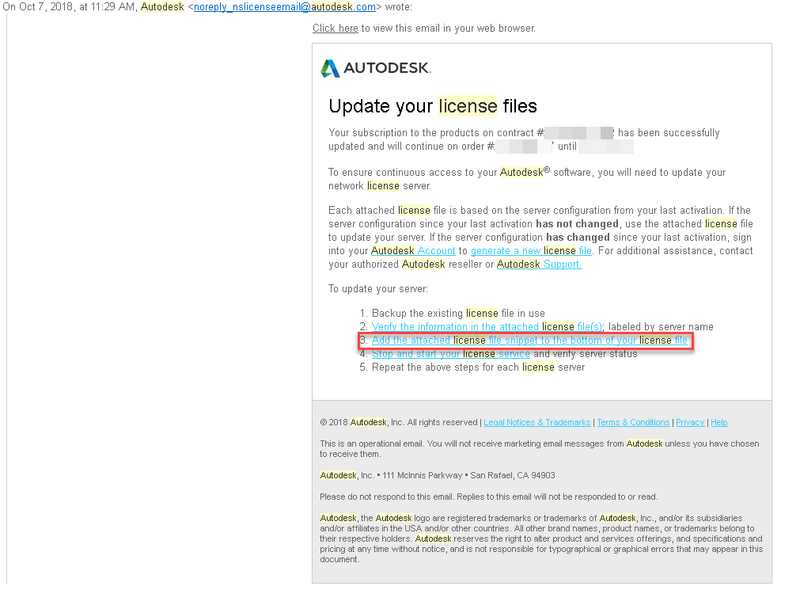 If you’re not sure when to append, use the provided email link in step 3 or read more about this issue on the Autodesk Knowledge Network. You may also reach out to your Synergis Account Rep or contact our support team.